Home /Can Your Clothing Improve Your Poker Game? The best poker tournaments, especially when there is a massive money prize involved, attract a lot of eager competitors. You may think otherwise, but the world of poker can get quite colourful. After all, people are so different and so are their poker faces. We are certain that women in this profession, as it is not entirely dominated by men, could significantly add to the discussion. Arguably, they might pay more attention to the way they look at the table than the male players. However, we will be focusing mostly on the guys and their approach to the whole concept. It is also worth mentioning that the discussion mainly relates to big, prestigious live tournaments. Everywhere else, the dress code rules are either less strict or less worthy of analysing. Speaking of playing at home or anywhere online, which also includes live casino options, you can take full advantage of total freedom, comfort, free spins and bonuses, easy access and if you like, the ability to play while wearing your PJs. I wouldn’t be too surprised if nobody paid much attention to suchlike outfits, even at the major events, given the professionals are supposed to repress their emotional reactions to not get distracted. When approaching the subject, the thing to start from should probably be to first understand what is even allowed in terms of poker garments. It turns out, players have much freedom in the matter. Indeed, there are no strict instructions about what you can or cannot wear inside the casino, although most exclusive establishments may be inclined to set some higher standards. Looser requirements do not mean that flip-flops and beachwear are appropriate. 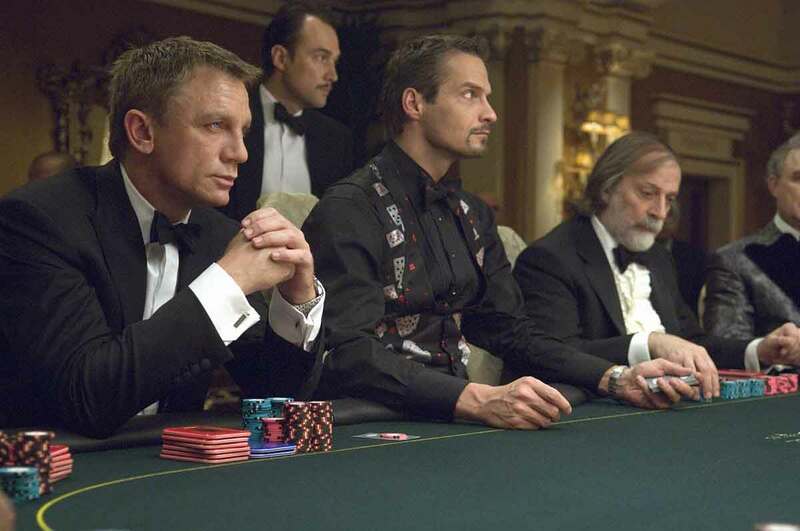 But other than that, you can pretty much forget about seeing a bunch of James Bond look-alikes in “Casino Royale” surroundings. Additionally, clothes tend to change in every discipline. Back in a day, poker was dominated by strong manly types from the Southwest. As such, the cowboy look was a typical fashion choice, and the associated hat an emblematic accessory. The evolution went through such trends as the sports jersey craze (which was also the way to manifest affiliation to a major franchise), football caps and scarfs — also popular nowadays. Today, the players wear outfits that are above all else comfortable. That’s understandable — long tournament hours can be tiring. There are people, however, who want to be a bit more stylish no matter the occasion. Therefore, a decent jacket or a blazer is a common sight at the casino, and smart casual is a typical style. Or an upgrade to a smart business suit, sometimes accompanied with smart shoes and a tie. Then there are some players who prefer to wear something unusual as opposed to what most people would pick. Indeed, there are solid, pragmatic reasons for such behaviour. A crucial part of this game is the distraction. Therefore, an eye-catching costume could be an effective method to throw the opposition off their game. Among the usual solutions are the shiny clothes and sponsorship logos. Accessories are also quite popular, especially oversized headphones. On the other hand, anything you can do to keep your head in the game, as well as conceal any information about your state of mind, is worth considering. The intention to hide as much of the face area as possible results in the well-known strategy of a typical poker pro that involves sunglasses, baseball caps or hats, long hoodies and even masks and facial hair. 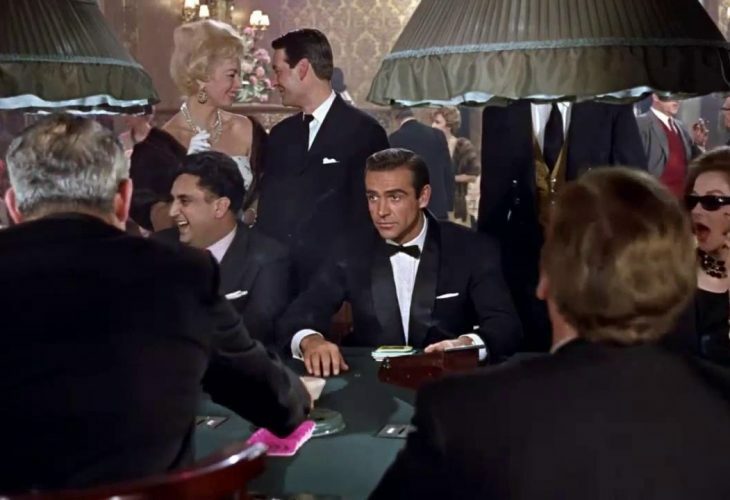 The lack of rigid clothing rules, practical purposes for dressing up and general looseness of fashion statements could make you think the poker players look pretty much the same — a boring T-shirt and jeans. While this may be the simple and common choice, there is plenty of colour around. A significant source of it comes with the concept of proposition bets (prop bets), which is something the players do for fun, and sometimes, to promote an issue of importance or raise funds for charities. The idea is to make a side wager with fellow competitors. The losing side is then obligated to fulfil the conditions of a dare previously agreed upon. One such task players have to perform is showing up at the major event wearing a hilarious outfit. So, don’t be surprised if you ever spot someone dressed up as a giant hot dog. It could happen.